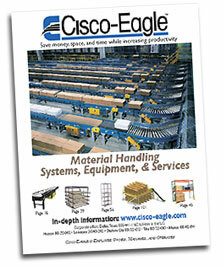 We recently published the 2008 Cisco-Eagle full-line catalog. 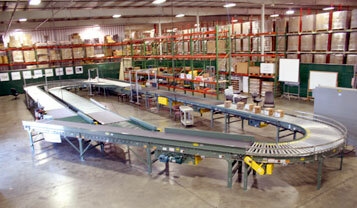 It’s 132 pages of equipment, specs, and information about our product and services offerings. You can request one from any Cisco-Eagle sales associate, or contact us directly for one through the website. If you want to download it for instant availability, click here. It’s a large file at 10MB compressed, so it has been broken up into smaller sections – pick the one you want and instantly get it. Of course, more information is always available on this website, but for printing and easy portability, the catalog may be just the thing for you. A quick note: Cisco-Eagle is a sponsor of the University of Arkansas RFID Research center. 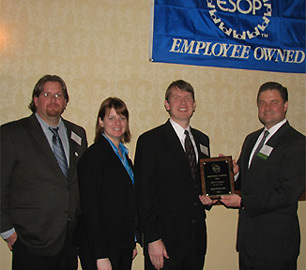 We’ve been involved with the center since its 2005 inception. I’ve visited the center a number of times, and have seen the innovative work that’s being done. The center continues to excel with this study on the effect of RFID technology on inventory accuracy. The study confirms that RFID can have a significant positive effect on retail inventory accuracy. For players like Wal-Mart, this means millions of dollars in savings. A preliminary analysis demonstrated that an automated, RFID-enabled inventory system improved accuracy by about 13% in test stores compared to control stores. Cost of delivery – look out! Last night I while watching the news on TV, I saw a story on the cost of diesel fuel. Where I live I understand that diesel fuel runs about 60-80 cents more per gallon than what I pay now for unleaded. The news story showed a trucker filling his tank, and the total bill came in around $600! The story cited the rising cost of oil and increasing demand for diesel in other countries as contributing factors to the rising prices. I am sure that the current value of our dollar has also affected the price at the pump.